Outdoor Advertising Association of America Exposes Digital’s Reality Problem. NEW YORK, NY–(Marketwired) – The Outdoor Advertising Association of America (OAAA) today releases a white paper that demonstrates the value of OOH media in a world where digital’s effectiveness and trustworthiness has been thrown into question. “This is What Reality Looks Like,” written in partnership with agency of record Partners NYC (PNYC), will be made public as 4A’s Transformation 2016 kicks off in Miami, and is a comprehensive analysis of the OAAA’s widely covered Feel The Real campaign. Launched at Advertising Week 2015, Feel The Real saturated New York City and 20 major markets nationwide with over 1,400 unbranded OOH units, both digital and traditional. OOH ads were deployed at eight different levels of targeting, narrowing in on media agencies and even individuals with over 280 custom messages. Concessions Available for the Right to Advertise in Subways, Buses, and Commuter Railroads. The Metropolitan Transportation Authority (MTA) announced the release of a Request for Proposals (RFP) for media firms interested in the right to advertise in subways, buses and commuter railroads, including concessions for traditional and digital advertising throughout the entire MTA rail and bus network. In addition to managing the MTA’s advertising portfolio, the RFP calls for the winning firm to create a robust network of digital screens to be placed in stations, on platforms, and in buses and train cars. 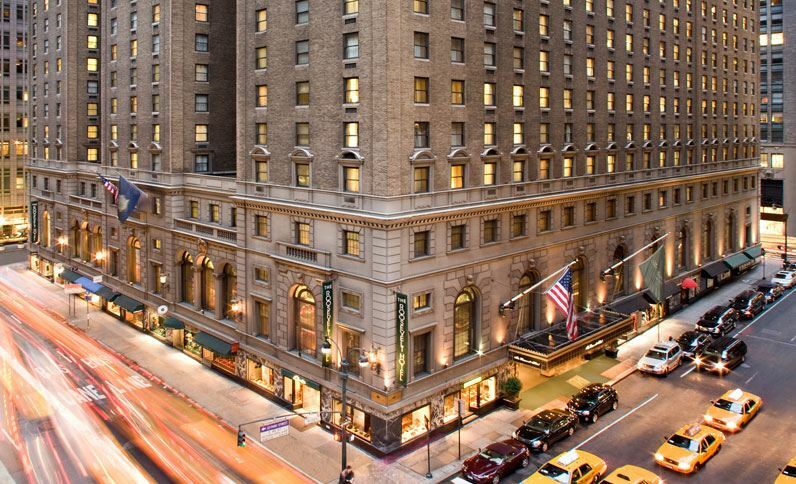 Iconic ‘Madison Avenue’ Hotel Hosts Event as Part of NY Digital Signage Week. “Madison Avenue, the birthplace of advertising, is an apt location for the event since the Summit attracts throngs of brand and agency senior executives across the total advertising spectrum,” said Barry Frey, President and CEO, DPAA. “Additionally, as a centerpiece of NY Digital Signage Week, the Summit brings together all of the global leaders in digital place-based, digital signage, out-of-home plus ad-tech and other business partners. “We are once again projecting a sold-out event featuring a lineup of powerful speakers who will share their knowledge, insights and in some cases controversial views on digital, OOH and the video landscape,” Frey continued.